My abridged dictionary defines “provenance” as “source, derivation.” Provenance is important insofar as collections of art are concerned. The value of a painting, for instance, is greatly enhanced if its history can be documented. Another important aspect is authenticity. My wife inherited a picture assumed to have been painted by Murillo. But when I took it to the Getty Museum, experts told me it was, in fact, painted by a student of Murillo, which, of course, greatly diminished its value. These factors also apply to collectable cars. In this day and age, there many so-called “knock offs.” Perhaps the most copied are the Shelby Cobras. My son, David, who has worked for Shelby for a number of years, has become well-known as an expert in this regard. He has ways of telling if a car is a real Cobra or not. All of this brings me to Bruce Meyer, whose collection has provenance and authenticity in spades. One of his cars is Shelby Cobra serial number CSX2001 no less. It’s the very first production Cobra. Actually, there was one Cobra before CSX2001. CSX2000, the prototype, is in Shelby’s personal collection. Bruce bought CSX2001 in 2006 at Retromobile where the car was displayed in Paris at Porte de Versailles. The car started life, as did all of the first Cobras, in England at AC Cars, where the chassis and body were assembled. AC records show its manufacture date as July 17, 1962. Then it was shipped to Shelby’s buddy (and mine), Ed Hugus, who then had a large dealership in Pittsburgh, where a 260cid Ford engine and transmission were installed. Ed was a top driver in his own right with ten runs at Le Mans culminating with a win in 1965. Shelby appointed Hugus his first Cobra dealer and later as distributor for the Eastern States. Ed sold it to a Dr. Richard Milo. It turned out to be more car than Milo could handle, so he returned it to Hugus. Next it went to Lloyd “Lucky” Casner, who intended to race it at Le Mans with co-driver Jean-Marie Vincent. But it wasn’t fast enough with the 260 engine, so Vincent bought it from Casner and took it to Ford Racing of Europe where a 289 with four Webers was installed and updated it to FIA specs. Vincent raced very successfully in Europe from 1964 through 1966, and then sold the car to a Herve Arnone-Demoy, with whom it lived in Morocco for 15 years. Next it went back to France, purchased by a Bernard Afchain who eventually displayed it for sale at Retromobile. Bruce has this trail documented with paperwork and photographs. Now that’s provenance! The car was authenticated by Cobra expert Lynn Park. 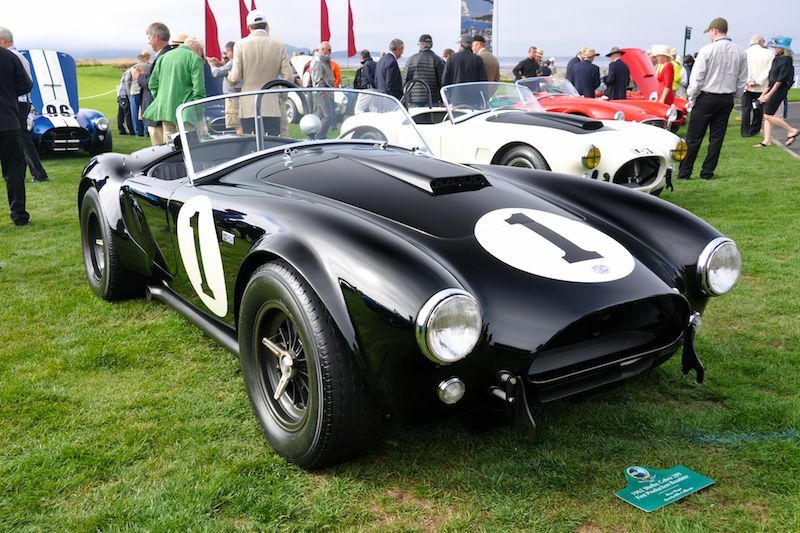 Bruce had it restored by Mike McCluskey, who had been licensed by Shelby to construct “continuation” Cobras. A few years ago, my friend, Don Klein, asked me to take some photos for him to accompany an article he was writing. 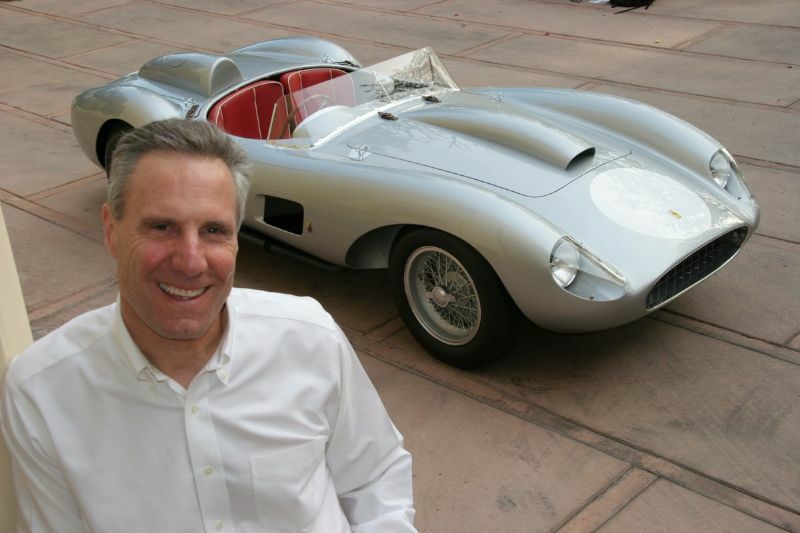 The shoot was in Beverly Hills and when I arrived, there was Bruce Meyer with a 1956 Mercedes-Benz 300 Sc Cabriolet. Interesting, I thought, and in beautiful condition, but what’s so special about it? It turned out the car had belonged to Clark Gable and that Bruce had bought it from Gable’s widow, Kay Spreckles, in 1981. It’s in all original condition. 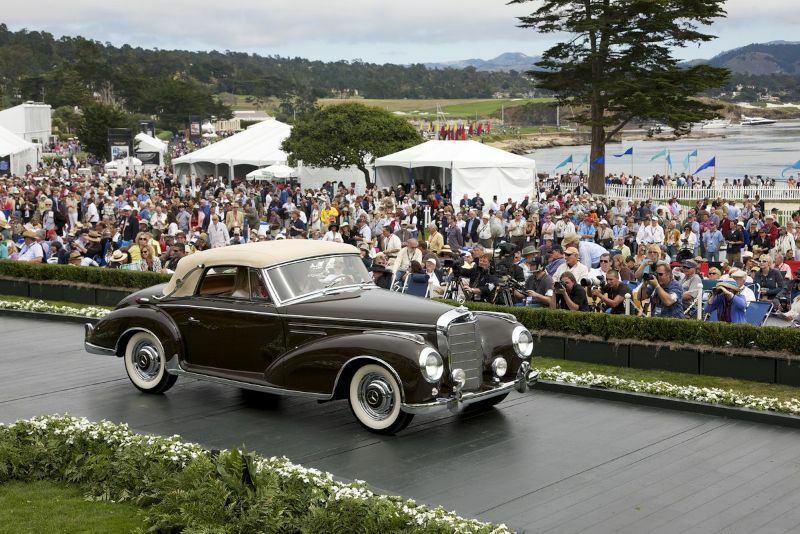 Gable bought his 300 Sc new from Mercedes-Benz of Hollywood for $12,500. It was then the most expensive of the make. It is one of only 49 the company made in the cabriolet format. Gable never let anyone else drive it. When he and his wife, Kay, went to the studio premier of Giant, they went in the Mercedes rather than in a studio limousine. After Gable died in 1960, Kay kept it in her garage until Bruce bought it from her. One car in the Meyer collection is dear to my heart because it was owned and raced by my close friend and neighbor, Johnny Von Neumann. I took a number of photos of it when John, his step-daughter, Josie, and Richie Ginther raced it during the fifties. It is a 1957 Ferrari 625 TRC Spider, only one of two ever built. It now has a 320bhp 3-liter 12-cylinder engine with six Webers. Von Neumann himself took delivery from the factory in Italy. Bruce has a fully-documented provenance. The first time I saw the car was at Santa Barbara on May 18, 1957. John had entered to drive it in the main event and I was running my XK120 Jaguar in the production event. The 18th was a Saturday and it rained cats and dogs. An Austin-Healey spun in front of me and dented my door. Boy was I mad! The next day it was sunny and clear. John ran a barn-stormer of a race. He was pitted against Eric Hauser in Max Balchowsky’s “Old Yeller” and Phil Hill in John Edgar’s 4.9 Ferrari. Eric led from the start with Phil nipping at his heels. On lap 20, John passed Phil and then Eric on lap 24. John led until the last lap when Eric inched by him to win. 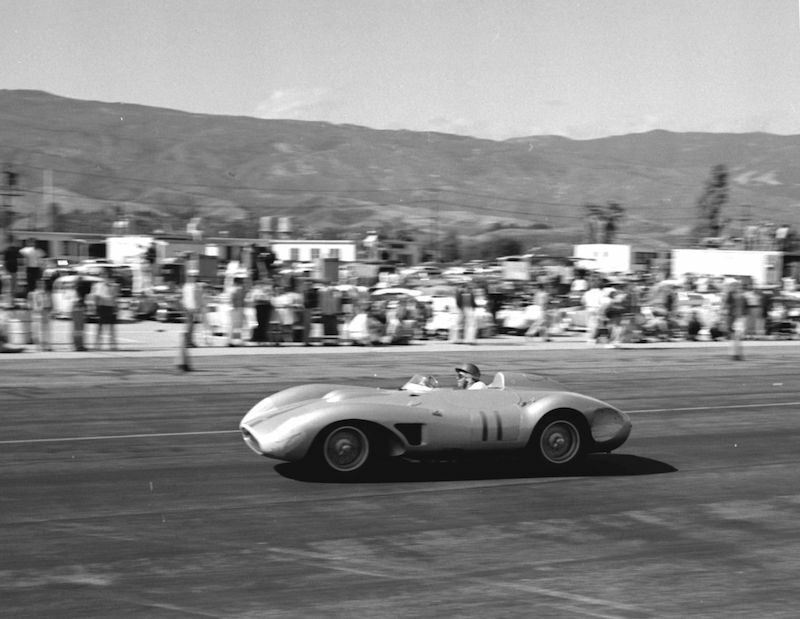 The record shows that Von Neumann raced it in 19 different events; the May 1957 Santa Barbara was its first time out. He won first overall during 1957 on June 2 at Salt Lake City, July 28 at the Pomona Fairgrounds, October 6 at Sacramento, October 19 at Hour Glass in San Diego and at Pomona again on October 27. John’s step-daughter, Josie, won a preliminary event at Hour Glass in it on September 27, 1958 and Richie Ginther won the main event with it at Lago de Guadelupe on May 3, 1959. In 1962, the car was sold to Otto Zipper who entered it for Ken Miles to drive. He won the main event at Santa Barbara on May 27, 1962. Later that year, my friend and USC classmate, Ron Ellico bought it. He installed a Ford V8 engine (shame on him) and drag raced it. From Ron, the TRC went through six different owners. The sixth was a Charles Zwolsman who acquired it in 1992. Zwolsman was arrested by the Dutch government for drug smuggling. Bruce Meyer bought it on July 6, 2001 at a Dutch government auction. Bruce had it restored to its original specifications with a Ferrari V-12 engine installed. He also had it painted in the original silver. He showed it at the Quail on August 20, 2006 where he won the Road & Track award. I remember restoring the TRC many years ago. I wondered where it went. I have seen him over the years at car events, Nice Guy and he never ages!!! In 1999, Bruce had his ’32 Roadster on display at the Louis Vuitton Classic in Rockefeller Center, New York City. As I was photographing, he came over and we discussed Hot Rods in general and his “Deuce” roadster. His pleasant demeanor made it seem as if we had been friends for years. “you are never too old to have a happy childhood”, Bruce said it and I live it. never met him but would love to some day. Art Evans has a varied and extensive background. During the fifties, he and his partner, OCee Ritch, had a public relations and advertising company that represented the MG Mitten Company, Devin Enterprises and Gough Industries among other car-related organizations. The author of ten books about photography plus others on different subjects, Evans has written numerous articles for photography and automotive magazines as well as professional journals. In addition, he has written eleven books about motor racing. In retirement, Evans pursues pastimes including writing about the fabulous fifties and serving as secretary and newsletter editor of The Fabulous Fifties Association.